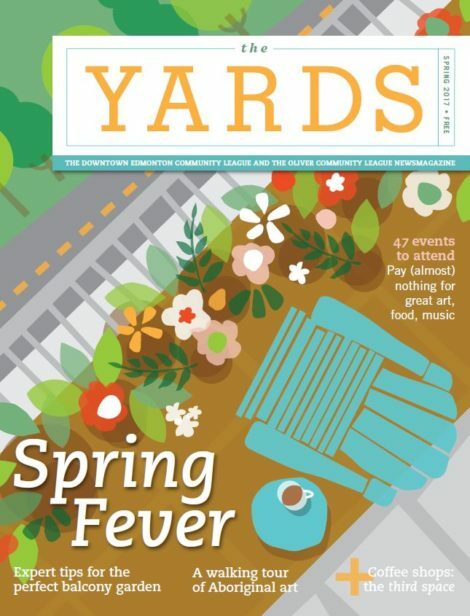 The Yards Spring Salon: Presented By Colliers International Inc.
How can we sustain urban agriculture in the core? Can we source and produce our own food while living in Edmonton? 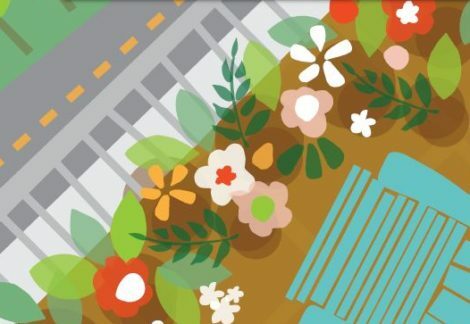 Come join the conversation as our panel discusses balcony gardening, urban beekeeping and foraging in Edmonton’s river valley. Join us for our Spring 2017 Issue Salon on Thursday, March 23, 2017 at CKUA Radio (9804 Jasper Avenue)! Dustin Bajer, is an educator, permaculture designer, master gardener, and self-described network nerd. Raised in the country and living in the city, Dustin is passionate about systems that unite the natural and built environments. Justin Keats can be found leading balcony gardening workshops, organizing Oliver’s community garden and teaching new gardeners the tricks of the trade. Robert Dale Rogers, a herbalist and author of over 40 books, teaches plant medicine, aromatherapy and flower essences in the Earth Spirit Medicine faculty at the Northern Star College in Edmonton. Then stick around for music, drinks and food as the conversation continues at this lively salon. Proceeds from ticket sales help to fund this innovative media project. 7:45- Onwards – Stick around for an evening of conversation and cocktails. Music by Andrew Williams of NVS to keep the night going. dinner menus at participating restaurants. The only downside will be your bulging waistline. (Youth Empowerment & Support Services). one is good enough to make an exception. found its way to mainstream venues. burlesque and humourous modernist parody. teach image transfer and carving techniques. the Robertson Wesley United Church congregation. isolation and loneliness in the core. Meet other parents and kids ages 0–5. Community Space, 10042 103 St.
DECL Community Space, 10042 103 St.
Join us for our annual pancake breakfast. Enjoy a pickup game or just shoot some hoops at this regular basketball drop-in open to the Oliver community. 7–9 pm, Grace Lutheran Church, 9907 114 St.
Bring your fave food dish to share with friends and neighbours. This is a licensed event, but of course, children are welcome. 5–8pm, Oliver Community Hall, 10326 118 St. This fully engaged committee meets on the second Monday of the month to discuss developments in Oliver. 7 pm, Oliver Community Hall, 10326 118 St.
Inclusive Playgroup – Your little ones will have fun at the hall with our toys, books and activities while you hang with other parents. 4–6pm, Oliver Community Hall, 10326 118 St.
Community Hall, 10326 118 St.
locations to enjoy the Oliver nightlife. with a focus on enjoyment and meeting neighbours. Oliver Community Hall, 10326-118 St.